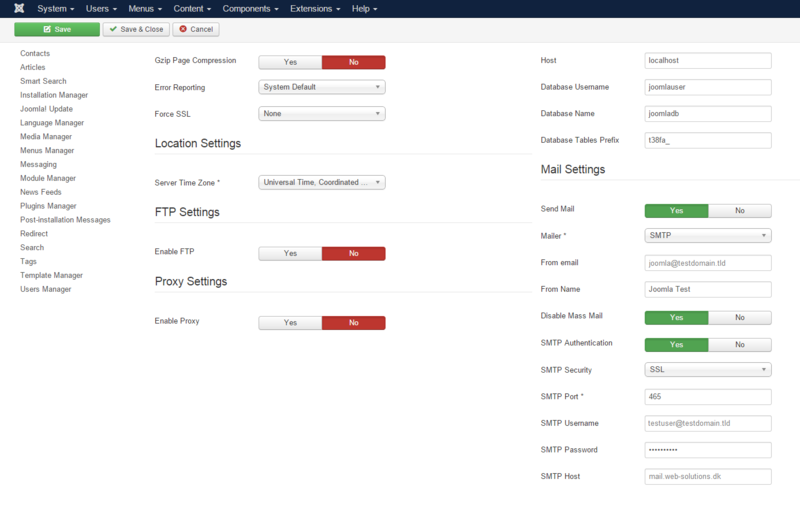 There is an built-in solution to send e-mails from Joomla to an outgoing SMTP server using SMTP authentication. To get started, log into the Administration area (the back end) of your site, and go to Global Configuration. Inside Global Configuration, go to the “Server” tab. Locate the “Mail Settings” to configure your SMTP settings.